“Are you serious?” is the first question most people ask when SAIT engineering students tell someone they’re planning on racing downhill in a concrete vessel. Yes, they’re serious and Westcor is proud to have helped them raise funds towards their ultra-Canadian venture by becoming a Platinum Sponsor in a silent auction that raised $1,500. 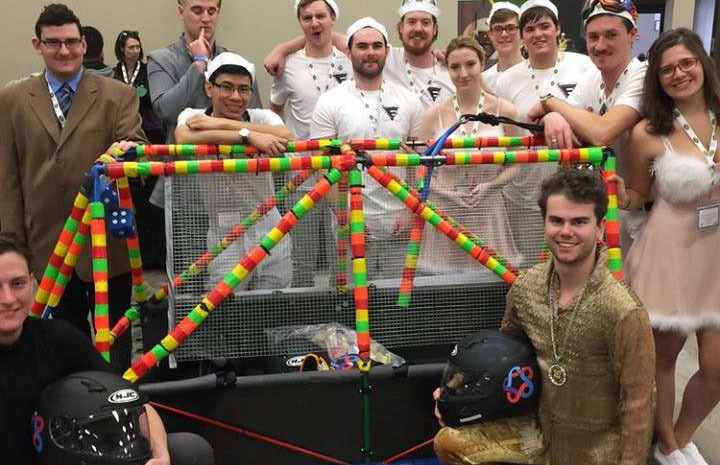 In addition to placing 1st overall, the SAIT team also won “Best Costume” for their Austin Powers-inspired garb. In addition, the SAIT team received the President’s Award for leadership and was invited to become LEED certified. Each team is serious about building a winning toboggan, but in true Canadian fashion, students cheer on all teams, simply enjoying the chance to get together and have some fun in the snow. Westcor backs this unique event because it’s a pure example of everything we believe in: investing in the future (these students are the next generation of great Canadian builders), promoting sustainable design, collaboration with the community, and teamwork. Please join us in congratulating the SAIT team for their commitment to Building a Better World and for reminding all of us that winter is full of fun possibilities! Click the image to see Rick Mercer’s 2011 coverage of the event.